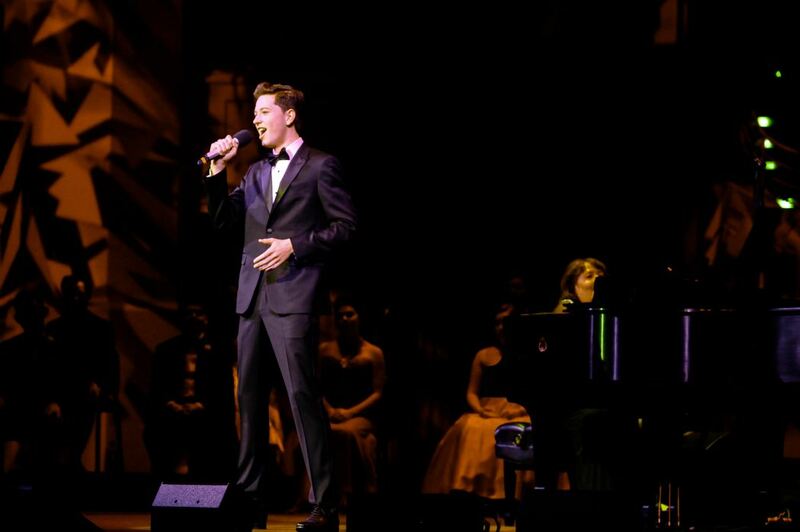 Finn Sagal, 18-year-old winner of the Great American Songbook Youth Competition, wowed crowds around the country as he traveled and performed with noted singer-pianist Michael Feinstein. Finn described his performance at the Lincoln Center in New York as the highlight of his series of appearances in connection with his tenure as Songbook Ambassador. Feinstein was sick, taking the teenager out of his comfort zone as Sagal and other hastily assembled musicians put together a new show at the last minute. “This year Finn has been able to share his talent with audiences all over the country, from New York to San Francisco,” said his father, David Sagal, a former La Cañada Unified School District Governing Board member known locally for his saxophone playing. Although Sagal’s role as Ambassador has ended, he will still be performing with Feinstein at the Pasadena Pops’ concert on Aug. 18 at the Los Angeles County Arboretum. Feinstein is also the orchestra’s principal conductor. In the fall, Sagal will attend UCLA’s Herb Alpert School of Music to receive classical voice training under respected soloist Juliana Gondek, and he hopes to go on to a career in musical theater and jazz. “I have so much more to learn and music is my passion, so getting to study it under such great faculty sounds too appealing to pass up,” Sagal said as he talked excitedly about his college plans.